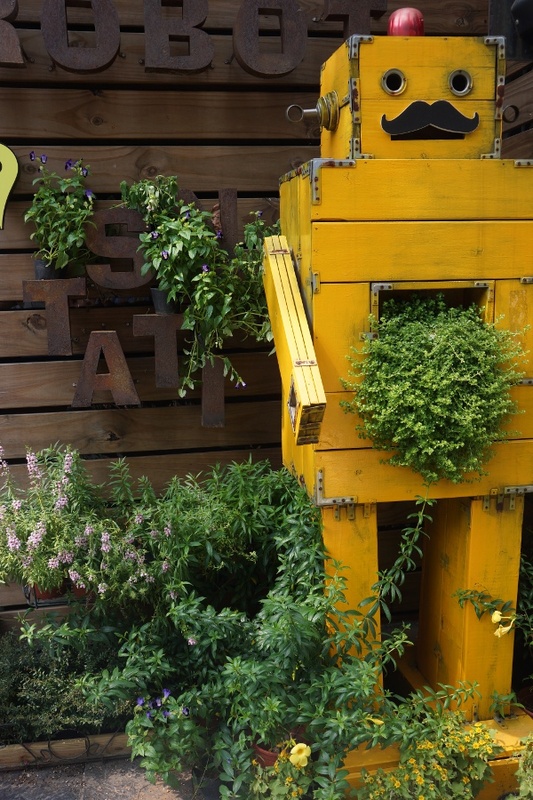 Robots of all shapes and sizes make their home at Robot Station 機器人餐廳 in Taichung. 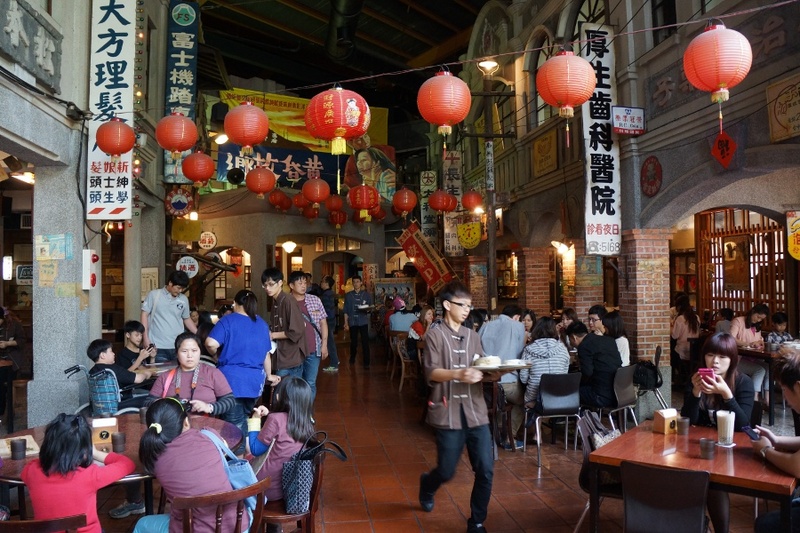 Taiwan has no shortage of restaurants, especially ones with quirky themes. From airplanes to toilets to jails to ninjas to Barbie, no topic is off limits when it comes to centering a restaurant around it. Even though robots cannot eat, Robot Station 機器人餐廳 in Taichung still celebrates our automaton friends via milk tea, quesadillas, and other delights. Check out more info after the jump. 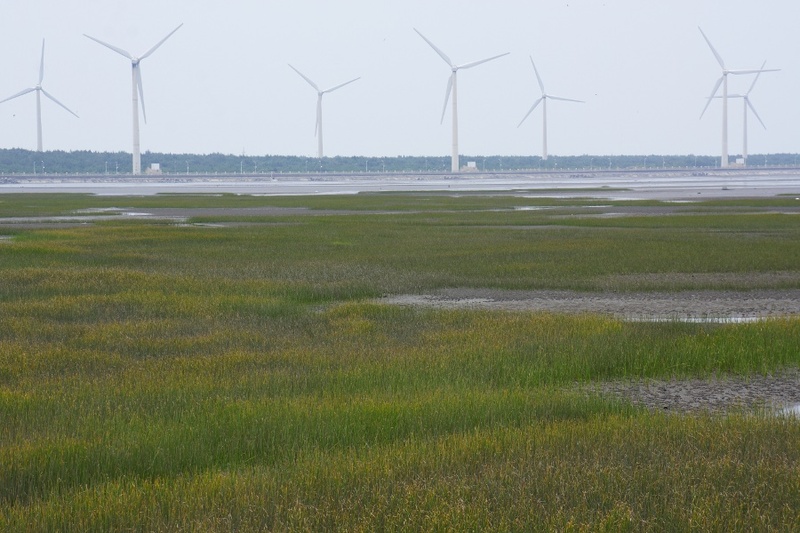 Windmills watch over you at the Gaomei Wetlands 高美溼地 in Taichung. Spanning 750 acres (or 300 hectares if you prefer those), the Gaomei Wetlands 高美溼地 in Taichung is probably the best place to dig your feet into the mud. It also has a nice array of wildlife, including crabs and everyone’s favorite fish out of water, the mudskipper. Though famed for its sunset views, I came on a rather grey morning. It’s no fun if you get the perfect view the first time, then you have no reason to go back! Check out more pictures and information after the jump. 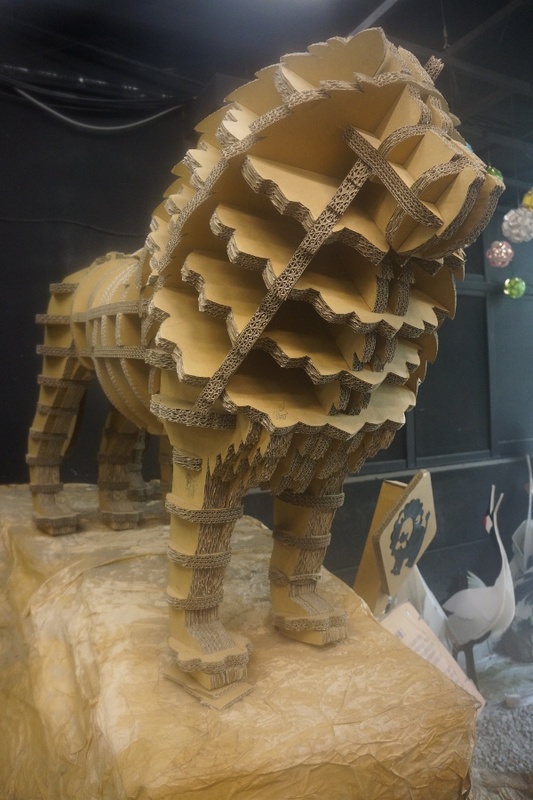 Cardboard lions are some of the many beige attractions at Carton King 紙箱王 in Taichung. It’s been a while since my last update, so I have a large backlog of interesting places. One of these is Carton King 紙箱王 in Taichung, also known as Carton King Creativity Park. It’s hard to describe what this place actually is. Part art exhibit, part quirky souvenir store, part restaurant, and part photo op magnet. It is certainly a strange place to explore, so check out more info and pictures after the jump. Xinshe Castle 新社莊園 certainly doesn’t look like your typical Taiwanese site. If you go a bit outside of Taichung, you may find yourself in Europe. 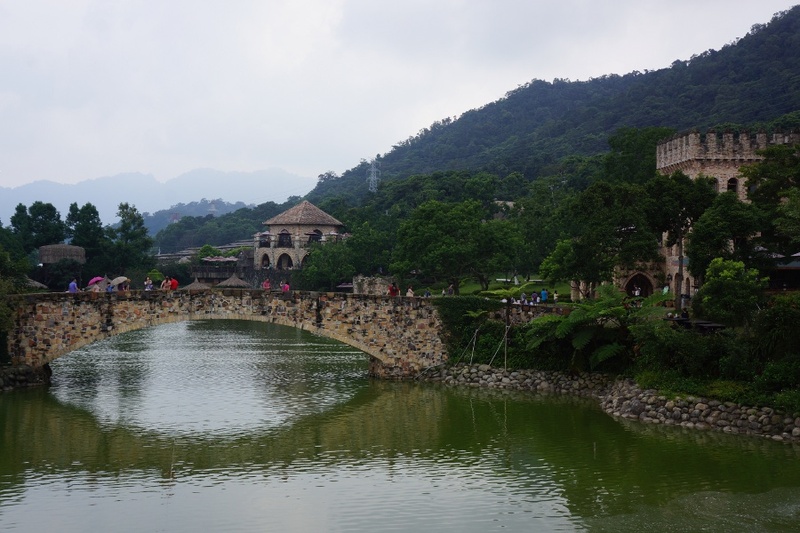 At least it looks that way at first glance, as Xinshe Castle 新社莊園 (also known as Summit Resort or 新社古堡) looks like it an old European castle was transplanted right into the Taiwanese countryside. Though an odd sight, it is a beautiful local and a unique place to visit. Check out more info after the jump. Rows and rows of lavender await at Lavender Cottage 薰衣草森林 in Taichung. 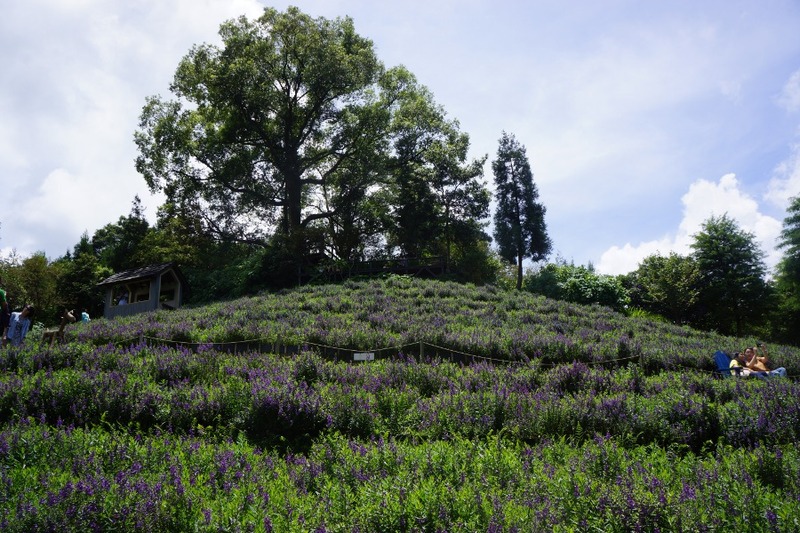 High in the mountains hides Lavender Cottage 薰衣草森林, an aromatic recreation area outside of Taichung. You can walk through rows of lavender flowers, dance with the butterflies, make lavender soap, and eat some much-needed ice cream (guess what flavor it is). It’s a serene and beautiful local that is just ripe for photos. Check out more info after the jump. 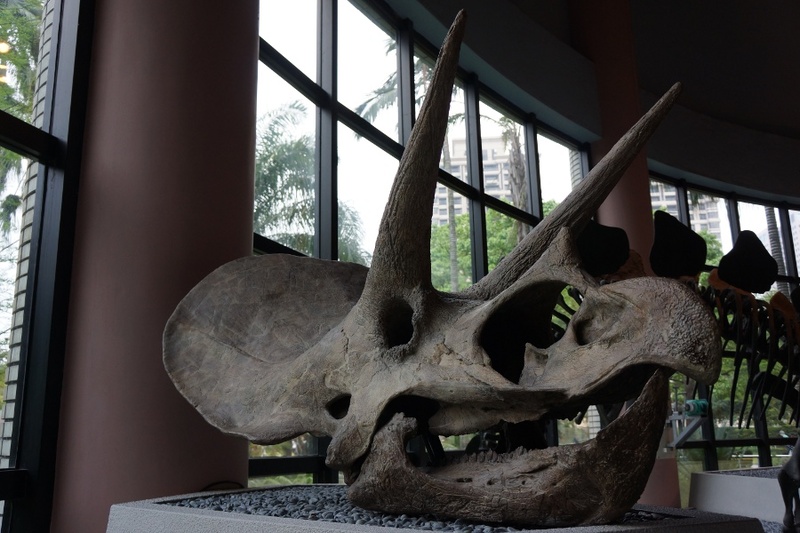 There are more dinosaurs than you can count at the National Museum of Natural Science 國立自然科學博物館 in Taichung. One of Taichung’s most famous attractions is the immense National Museum of Natural Science 國立自然科學博物館. The expansive museum is one of the most revered in Taiwan, and it is overflowing with exhibits ranging from geology to archeology to space travel. I cannot overstate how much there is to see here, and that’s not including other complexes the museum has throughout Taiwan. Check out more information after the jump. 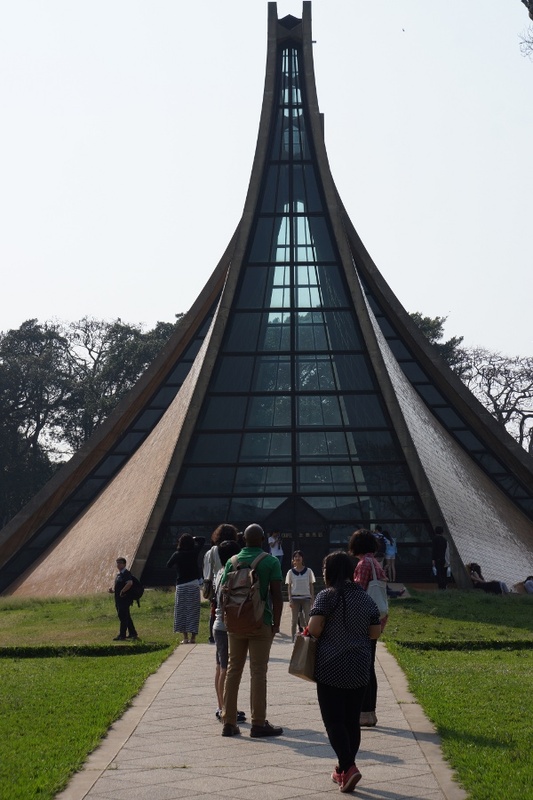 The Luce Chapel in Tunghai University 東海大學 is its most famous landmark. I always feel a bit strange walking around college campuses. After being so accustomed to my own universities layout, secret spots, and hang outs, seeing an alternate take is always jarring. It feels like I shouldn’t be there. I mean, you can’t just walk around a random high school, right? If you can get past these feelings, you’ll find that college campuses are often a great place to check out, even if you’re not paying tuition. Tunghai University 東海大學 in Taichung (also spelled as Donghai) is a sprawling campus with beautiful greenery and even some livestock. Check out some photos from my visit. 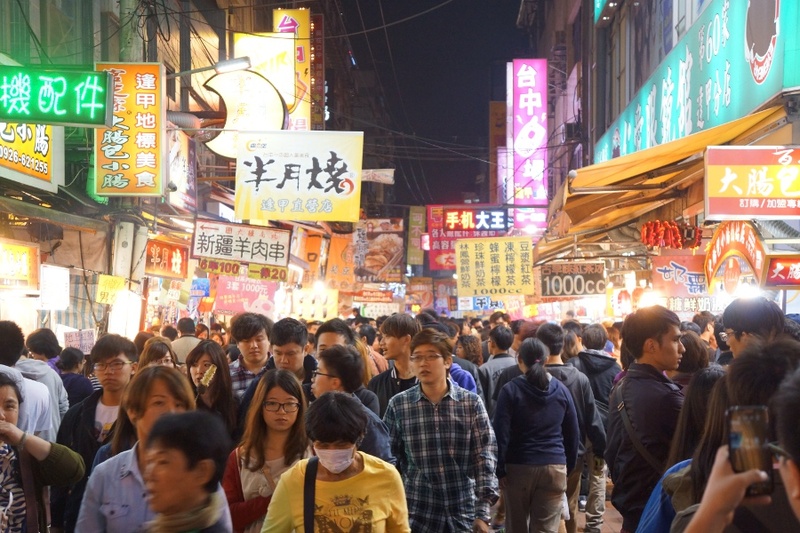 Prepare to meet hordes of people at Feng Chia Night Market 逢甲夜市. Shilin Night Market may be Taiwan’s most famous, but the biggest night market in Taiwan rests in Taichung. The Feng Chia Night Market 逢甲夜市 (it may also be written as Fengjia) will certainly overwhelm anyone with its number of stalls and people. If you don’t fear crowds or mind a wait, you can definitely find a lot of things worth eating. Check out some pictures from my visit. A man picks wise camouflage at the Rainbow Village 彩虹眷村 in Taichung. An old building doesn’t have many options. Unless something of historic note happened there, its fate is to turn into rubble and for something new to take its place. 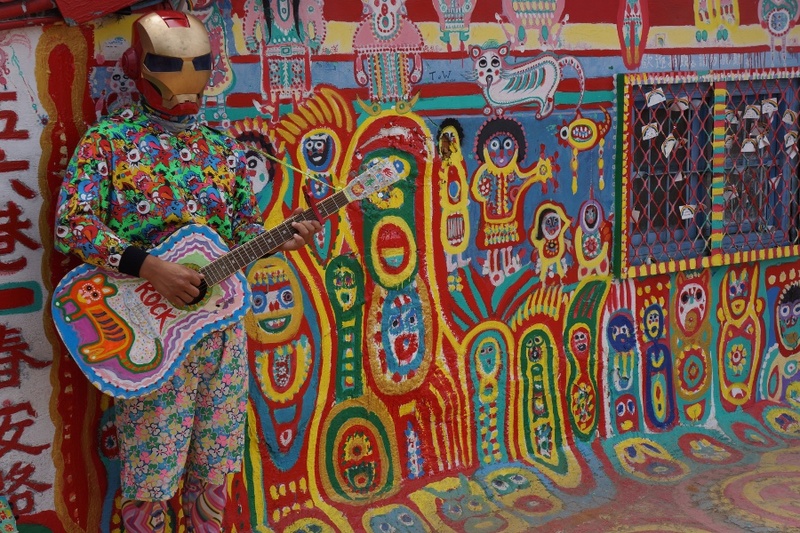 When the government in Taichung planned to tear down an old military dependent’s village (a community for KMT soldiers after their arrival to Taiwan in 1949), “Rainbow Grandpa” Huang Yung-Fu decided to cover the buildings in colorful murals. Now, the Rainbow Village 彩虹眷村 is a delightful tourist attraction in Taichung. Not only can you take some nice photos, you can even meet the artist! Enjoy some of my photos. Go back in time at Banana New Paradise 香蕉新樂園 in Taichung. There’s a deep fascination in Taiwan about the early 20th century. It was certainly an eventful time, going from occupied by Japan to an independent nation, yet under control by a solitary political party. Though there were many tumultuous events, this period is highly romanticized. Perhaps it’s the aesthetic, or the conception that it was a simpler time, or because these cultural aspects have been pushed aside by modern society. Banana New Paradise 香蕉新樂園 in Taichung is a theme restaurant that aims to play on the allure of the era. Part-museum, part-restaurant, it’s certainly a place worth visiting. Check out some pictures after the jump.